Selenium (Se) functions as a cellular redox gatekeeper through its incorporation into proteins as the 21st amino acid, selenocysteine (Sec). Supplementation of macrophages with exogenous Se (as sodium selenite) downregulates inflammation and intracellular oxidative stress by effectively restoring redox homeostasis upon challenge with bacterial endotoxin lipopolysaccharide (LPS). 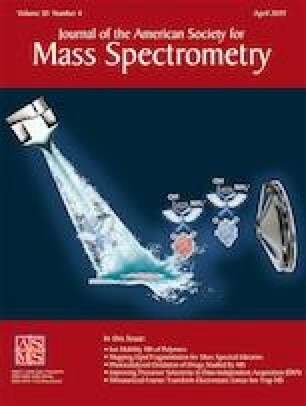 Here, we examined the use of a standard Tandem Mass Tag (TMT)–labeling mass spectrometry-based proteomic workflow to quantitate and examine temporal regulation of selenoproteins in such inflamed cells. Se-deficient murine primary bone marrow–derived macrophages (BMDMs) exposed to LPS in the presence or absence of selenite treatment for various time periods (0–20 h) were used to analyze the selenoproteome expression using isobaric labeling and shotgun proteomic workflow. To overcome the challenge of identification of Sec peptides, we used the identification of non-Sec containing peptides downstream of Sec as a reliable evidence of ribosome readthrough indicating efficient decoding of Sec codon. Results indicated a temporal regulation of the selenoproteome with a general increase in their expression in inflamed cells in a Se-dependent manner. Selenow, Gpx1, Msrb1, and Selenom were highly upregulated upon stimulation with LPS when compared to other selenoproteins. Interestingly, Selenow appeared to be one amongst the highly regulated selenoproteins in macrophages that was previously thought to be mainly restricted to myocytes. Collectively, TMT-labeling method of non-Sec peptides offers a reliable method to quantitate and study temporal regulation of selenoproteins; however, further optimization to include Sec-peptides could make this strategy more robust and sensitive compared to other semi-quantitative or qualitative methods. The online version of this article ( https://doi.org/10.1007/s13361-019-02192-9) contains supplementary material, which is available to authorized users. This work was supported, in part, by grants from the National Institutes of Health- NIDDK and Office of Dietary Supplements R01 DK077152 (KSP) and USDA-NIFA Hatch project numbers PENO #4605; Accession # 1010021 (KSP), and seed funds from the Penn State Cancer Institute. We thank members of the Prabhu laboratory for their timely help and suggestions.